Dalí’s home town of Figueres. Image credit: Author’s Image Ltd / Alamy. Further east from Barcelona and along the intricate coastline of Catalonia, Palamós offers what is often lacking in many Mediterranean cruise destinations: easy access to beaches. You can walk along coastal paths to unspoiled sandy bays, and if you just want to mooch around the town it is only a short walk from the terminal to an array of shops, cafés and tapas bars. 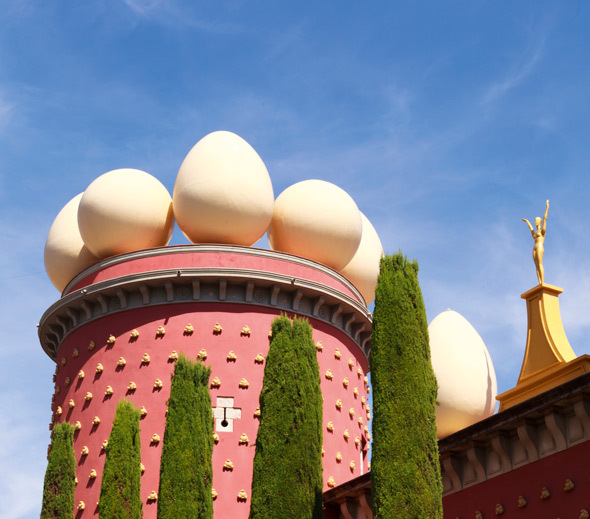 Palamós is also well-situated for ship excursions to Figueres, birthplace of artist Salvador Dalí and site of the extraordinary Dalí Theatre-Museum. Barcelona may also be one of the ship excursions, but neither are really possible to visit by public transport. Oceania Cruises has a 10-day Barcelona to Rome cruise on Riviera departing 22 May calling at Palamos, as well as Marseille, St Tropez, Cannes and Antibes in France as well as Portofino, La Spezia, Livorno (for Florence/Pisa) and Civitavecchia (for Rome), from £1,869pp, based on two people sharing, cruise only but including wine at meals. Visit oceaniacruises.com or call 0845 505 1920.